The mantis shrimp, which isn't a shrimp, gets a lot of attention for its visual acuity and powerful punch. But there are actual shrimp that are equally impressive. 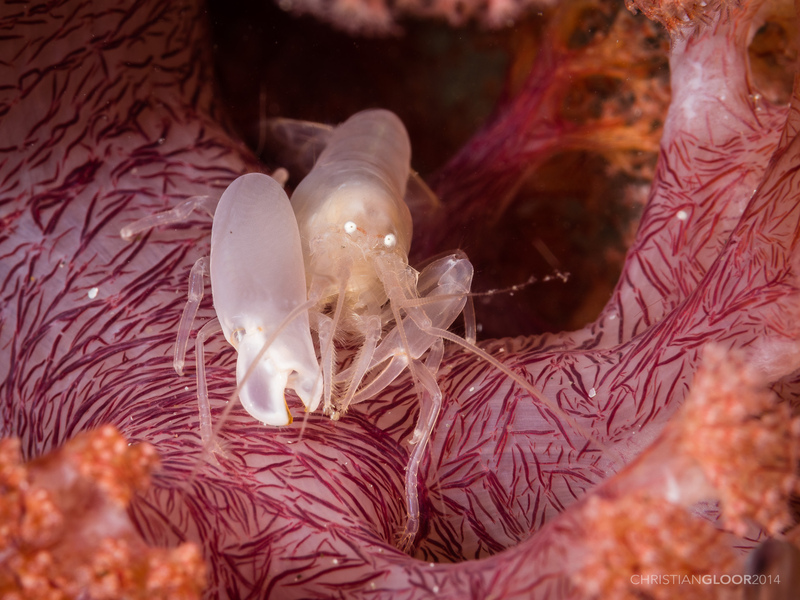 There are various species of snapping shrimp that can close their claws fast enough that it produces a jet of water that undergoes cavitation, where the extreme turbulence creates pockets of low pressure where the water vaporizes. As these bubbles collapse, they reach temperatures above 5,000K and emit light along with a powerful snapping noise. This, not surprisingly, can be valuable both on offense and defense, which is probably why there are over 500 known species of snapping shrimp. But how did this ability evolve in the first place? To find out, an international team of researchers obtained the claws of nearly 70 different species of snapping shrimp and subjected them to CT scans to identify their structure and musculature. After 3D printing models of what they found, they conclude that a surprisingly minor set of changes led to a big mechanical difference. A shrimp causes cavitation with its claws. The study gets at a common conundrum in evolution. It's easy to see how generation after generation of small changes can refine a useful feature. It's harder to understand how a feature shows up in the first place, since any antecedents to the feature wouldn't be useful in the same way. So it is with snapping shrimp. Until the claws managed to produce powerful jets of water, it's not clear what could possibly be refined. But an evolutionary analysis turned out to be key to making sense of things. Once the researchers had obtained CT scans that showed the shell and musculature of the shrimps' claws in their native conformation, they were able to map certain features that showed up in closely related species. The analysis showed that the ancestor of these shrimp probably had a pretty mundane claw that flexed at a pivot. If muscles attached to one side of the pivot contracted, the claw would open; contraction of those attached to the other side would close it. Perfectly functional, but not capable of these powerful snaps. But the evolutionary analysis also showed that lineages replaced this simple pivot with a system that had never been recognized previously. They call it a "slip joint," and it's a somewhat different way of opening and closing the claw. Rather than pivoting the base of one side of the claw, the entire base is able to shift its location slightly. This shift takes it to one side or another of a small ridge on the shell at the base of the claw. On one side of the ridge, and the combination of internal forces and the shape of the shell will twist the pincer so that it closes. If muscles shift it to the other side of the ridge, however, then the most favorable configuration has the pincer opened. The slip joint doesn't have any obvious benefits on its own, and a number of shrimp with this version of the claw are unable to generate a powerful snap. But it does enable a slightly different configuration of the muscles internally, enabling what the authors call a torque reversal. In this configuration, there are muscles that, when the claw is open, can contract and generate a force that keeps it open. But when the pincer shifts slightly towards closing (driven by other muscles), it's enough to convert the same contraction from the same muscles into a force that drives it to close. In other words, by shifting the location of the pincer, the contracting torque from these muscles is reversed. This is the configuration that is finally able to generate a snap (though not all species with this configuration snap). Amazingly, once this muscle configuration evolved, a few species shifted back to using pivot joints, but were able to maintain torque reversal and a powerful snap. Without the evolutionary analysis, it would have been extremely difficult to figure this pathway out. But with it, a simple picture emerges. Small changes can shift the shrimp between one of two claw configurations, neither of which seem to offer particular advantages on their own. But one of those configurations allow the evolution of a new muscle system that has some significant energetic advantages, in that the same muscles are able to contribute to both opening and closing the claw. These energetics can then be refined so that the claw is able to generate the signature snap of the shrimp. And it really is quite a signature. The authors attempted to correlate different configurations with the speed of the snap, but weren't entirely successful. As they write, "we are unsure about differences among species because most closures exceeded our filming frame rate." Current Biology, 2017. DOI: 10.1016/j.cub.2017.11.044 (About DOIs). The post Oh snap: How a shrimp closes its claws fast enough to vaporize water appeared first on News Wire Now.